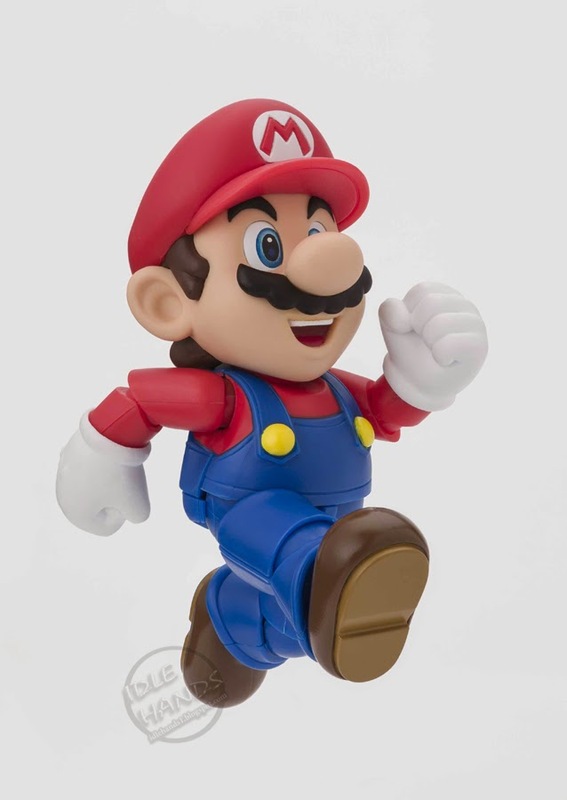 At long last, Tamashii Nations is proud to introduce the world’s first fully posable, adult collectible of Super Mario! 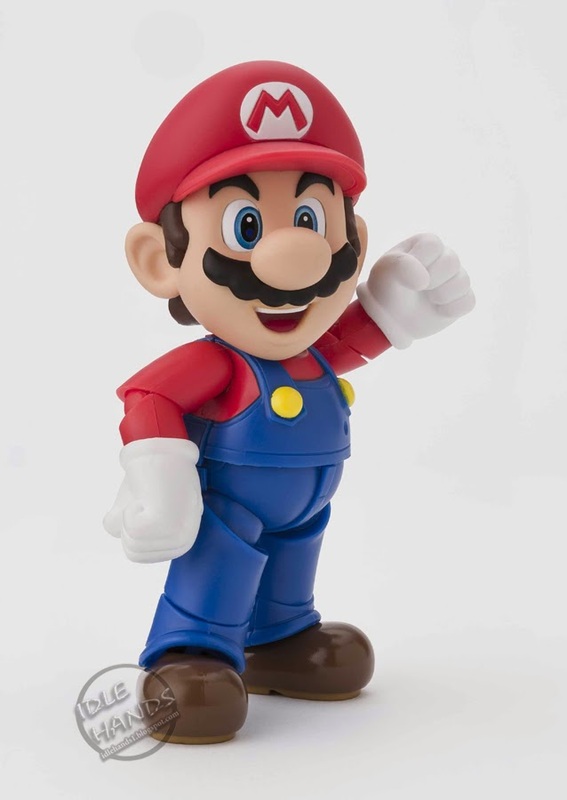 Step into the world of Nintendo with the most recognizable video game mascot of all time. This highly advanced S.H.Figuarts articulation allows for precise posing to bring all the intense video game action directly to your fingertips. 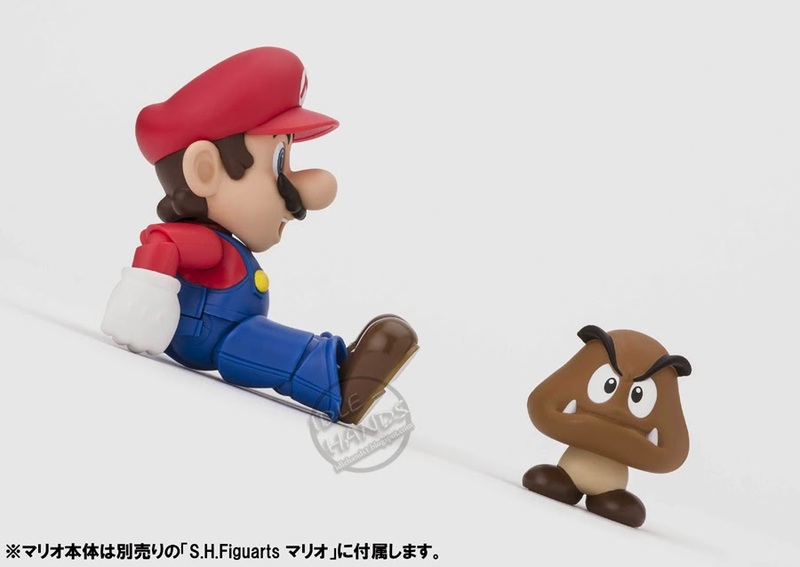 S.H.Figuarts Super Mario features “?" Block, coin, coin stand, and a super mushroom. 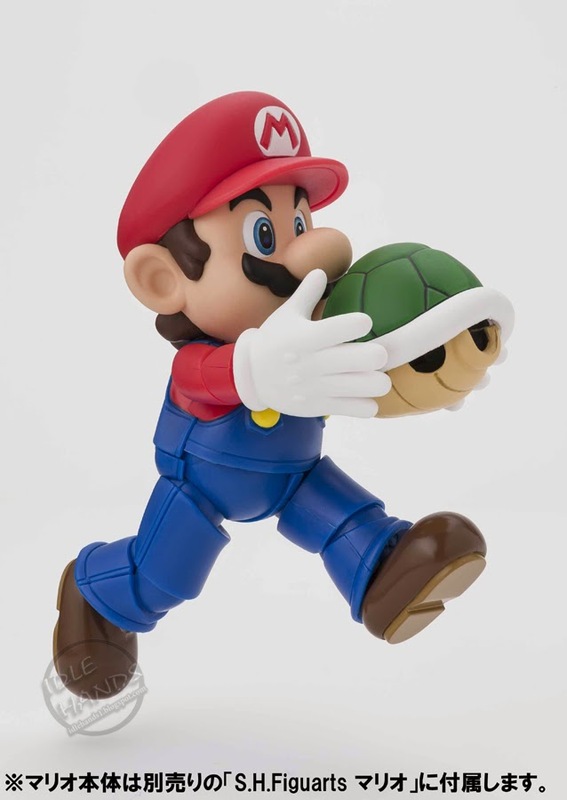 Separately sold diorama playsets allow you to expand the Mario world. 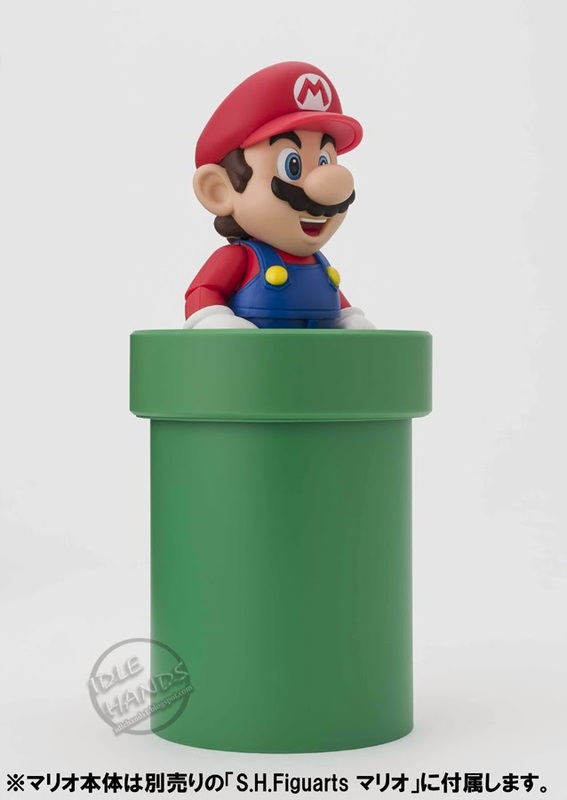 Don't flush your money down a warp pipe on inferior merchandise; this is the Mario to brawl with. 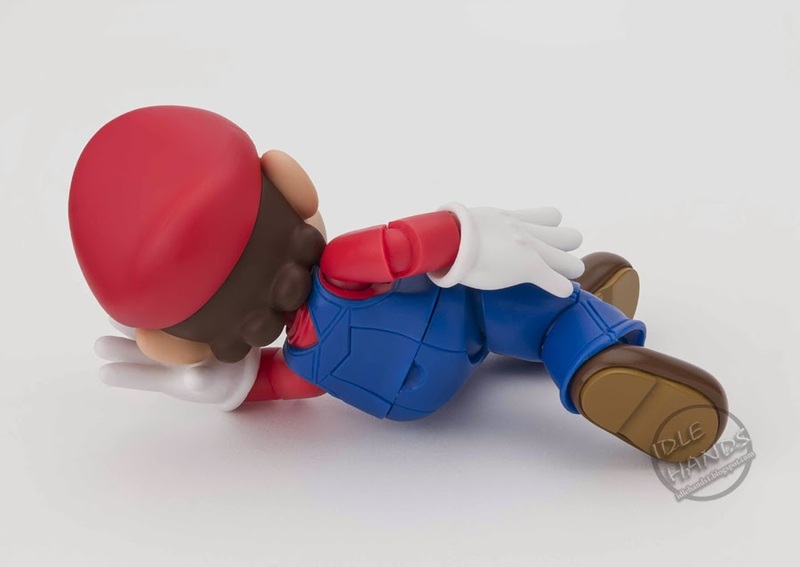 S.H.Figuarts Diorama Play Sets allow you to take full advantage of S.H.Figuarts Mario and feature a variety of option parts to enhance the action figure posing experience. Diorama Play Set A features “? 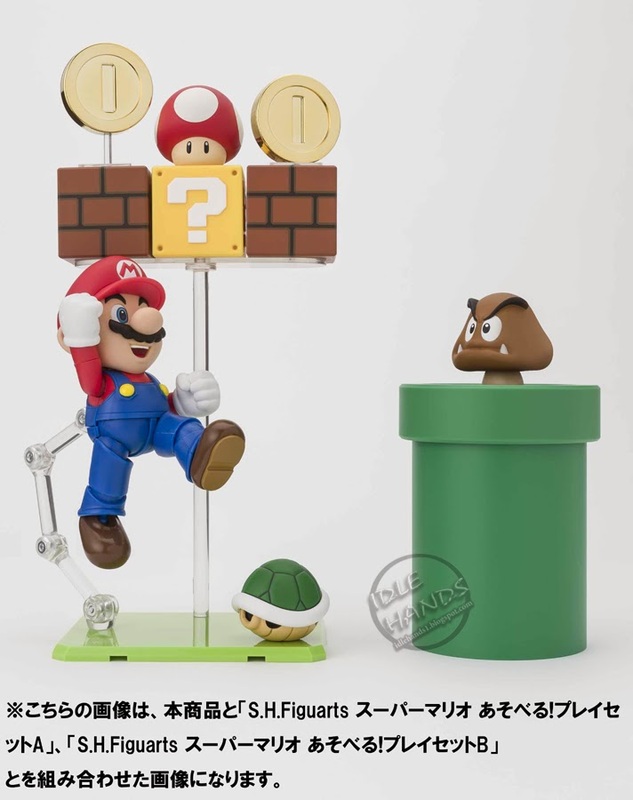 block”, brick blocks (x2), Goomba, triple block combining parts, coin, coin stands (x2), special display stand for bringing Mario into aerial overhead block punching poses, and display support arm. 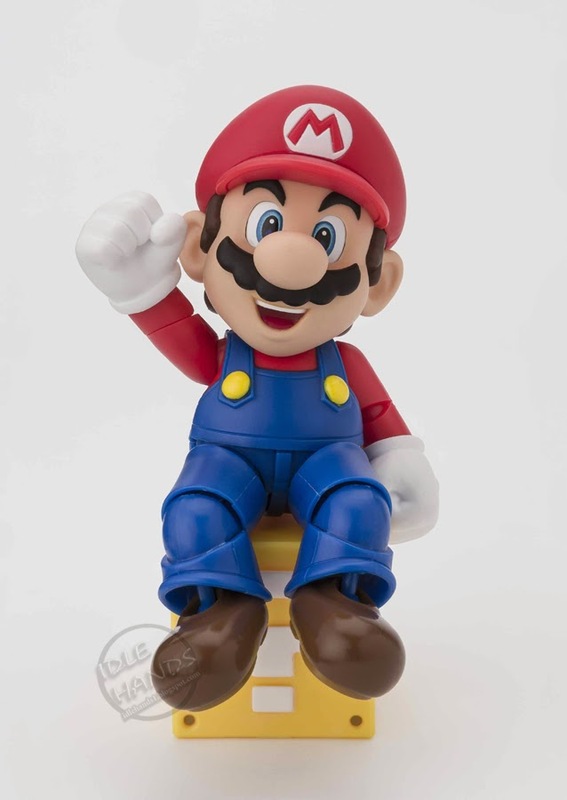 S.H.Figuarts Diorama Play Sets allow you to take full advantage of S.H.Figuarts Mario and feature a variety of option parts to enhance the action figure posing experience. 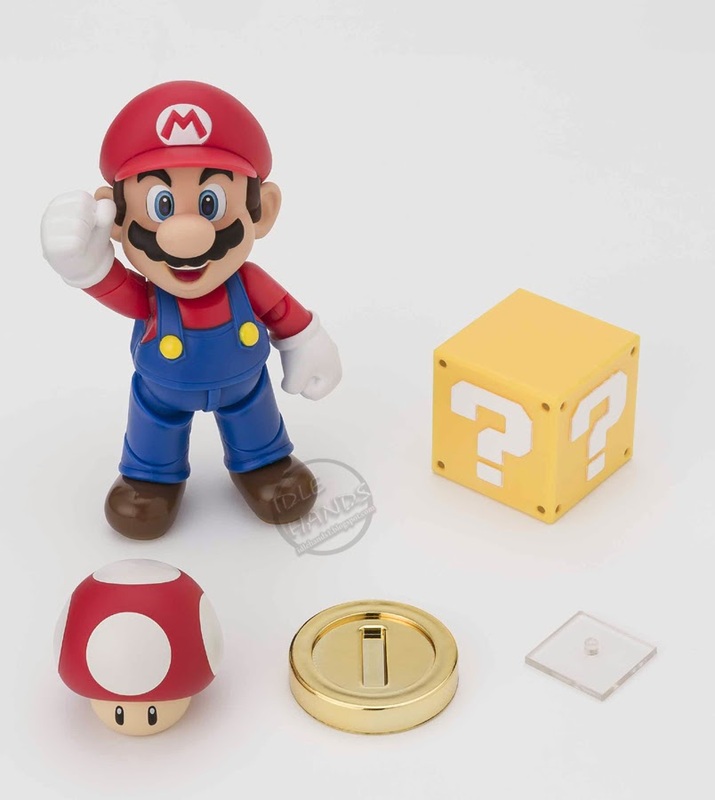 Diorama Play Set B features two pipe parts, pipe adjustment parts, Goomba, coin, coin stands (x2), green shell, interchangeable hand parts for holding green shell, and green shell connecting parts. And if that last bit didn't send you into fits of twitching geek overload, the next item just might. 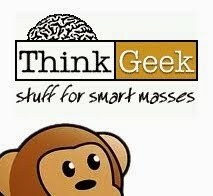 Chogokin Hello Kitty: In what promises to be the ultimate Hello Kitty commemorative masterpiece, Tamashii Nations is proud to announce the release of Chogokin Hello Kitty. 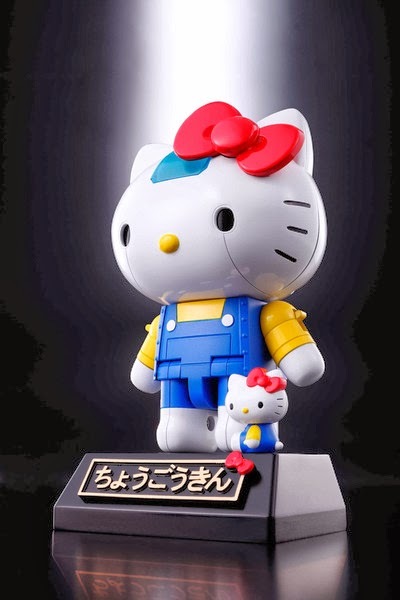 Celebrating the double 40yr anniversaries of the adorable Hello Kitty and awesome diecast robot line- Chogokin (means "super alloy"in Japanese), this is the ultimate combination of Japan cute and cool! 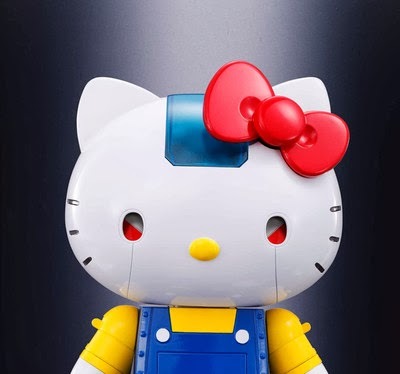 Chogokin Hello Kitty portrays this beloved character as a robot that can be piloted by Hello Kitty herself- small Hello Kitty can sit (sideways of course) in the cockpit in the head area. 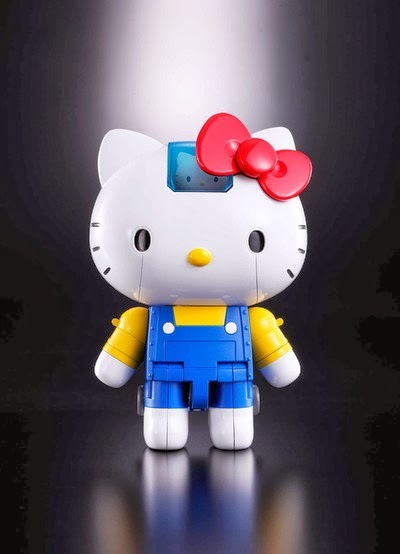 The Hello Kitty robot features diecast and can be transformed in to three different modes: Drive Mode- wheels on her legs let you "drive" her on surfaces. Attach the accessory ribbon to her back for Flight Mode. The ribbon disassembles to create fins for her feet for Dive Mode. Three eye mode expression changes including “Angry Mode” and figure also features rocket punch gimmick. Special display stand included that allows posing of Hello Kitty robot in all modes. Hit up your local comic shop to find out how you can order these and other excellent Tamashii Nations products!